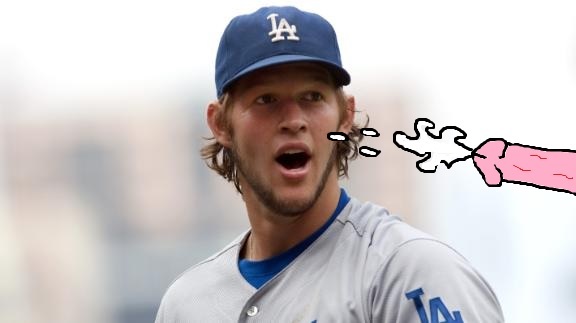 After last night’s thrilling win, made more thrilling by Huston Street’s regularly expected putrid performance, the Padres are set to take on the Doyers best pitcher, Clayton Kershaw tonight. After Pedro Ciriaco’s coming out party last night, I am now expecting big things from him including multiple grand slams tonight. Modest expectations. I think we can also look forward to terrible ESPN replaying the inevitable one hit that Yasiel Puig will get tonight while overlooking his flailing four strikeouts. At some point, the overwhelming media attention will get to Puig and he’ll take the offramp to Slump City (or hopefully Being Thrown Down a Well City, CA). ← Yasiel Puig Has New Toys! Go Padres!